I am so, so, SO happy right now!! I have been very nervous about my plan to have NYC Marathon be my 100th marathon. At the time that I signed up, I still had to run 7 marathons before I could tackle New York as my 100th. That was a lot of pressure! So many things can go wrong in a marathon – you can get sick/injured, or the race could get canceled for something totally beyond your control (heat, thunderstorms, tornadoes, national parks being closed). I had a weekend off from marathoning in mid-October, and had filled in my calendar with various local (to either NYC or Dallas) marathons that I could do if something went wrong with a marathon before that. 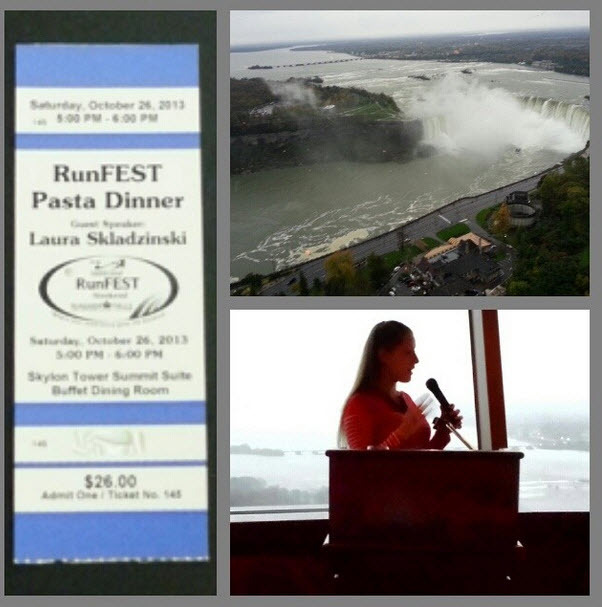 But this weekend, I had long ago booked a guest speaking engagement at the Niagara Falls Marathon – and was planning to run the marathon too. I considered fulfilling my speaking duties but skipping the marathon, and just doing another marathon sooner so I could have this weekend as a totally safe rest weekend. But I love the Niagara Falls Marathon – it’s really well-organized, the people are so friendly, and it’s one of the only marathons in the world where you get to start in one country and run to finish in another, right at the top of Niagara Falls. So I planned to run Niagara Falls as my 99th marathon, and in a worst case scenario where I couldn’t finish Niagara for whatever reason, I could do the Abilene Marathon in Texas next Saturday so it would be done in time for the NYC Marathon. But running two marathons in a weekend wouldn’t be ideal, since I’d rather be rested and able to go fast in New York. Me in front of the top of the falls – such gorgeous views at the finish park! PS – If you’re going to be in NYC next Sunday, you’re invited to my post-race celebration at one of my favorite beer bars in the city, Rattle N Hum. Full details here; I’d love for anyone and everyone to join the fun! Congratulations, and good luck next weekend! You’re such an inspiration, Laura! I’m volunteering at the Mile 22 water stop with Oiselle Team at NYCM and will definitely be cheering you on! It was a day to remember! Congratulations…well done! Gabby, I’ll definitely look for you out there!! Congratulations on 99 and I can’t wait to read about #100! Also, you’ve got me thinking about adding Niagara Falls to my list of marathons to run. 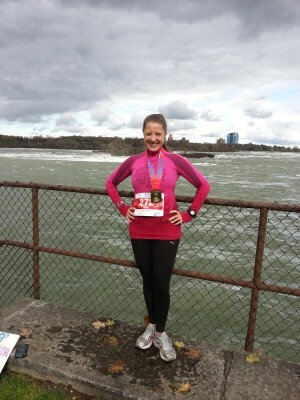 I’d highly recommend Niagara Falls Marathon – it’s a really nice, relaxing course and it’s so cool/unique to run from one country to another! Wow, you’re incredible! Thanks for being an inspiration! Aww thanks Taylor :) I loved your “why run 13.1 miles” post so much because I get that question all the time – your answer was really articulate. WOW! 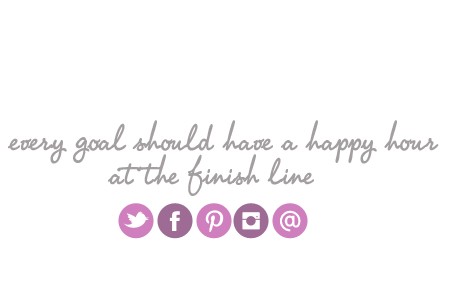 What a huge accomplishment…I can’t believe #100 is almost here! Well done, Laura! So excited for you- you have done amazing things so far and have more to go! congrats on 99, and enjoy this final week before #100! Going to be a great weekend for all! The Niagra Marathon sounds like a fun event. I can only imagine the course scenery. Very glad you got to complete it and get to do NYCM. I can’t believe you will have done 100 marathons!! Such an crazy amazing achievement :) Congrats on 99! !